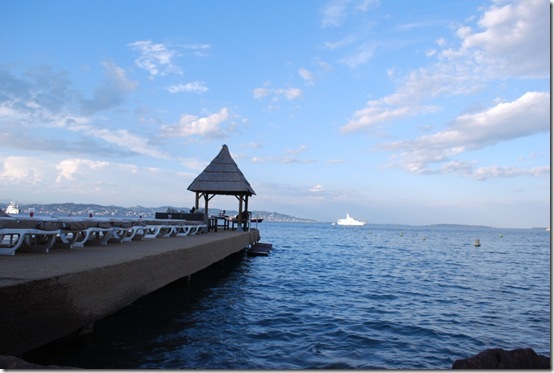 Well less than 24 hours after entertaining and being entertained by Will Carling post the Microsoft Search Summit – more on that at a later date – I’m in The Palais Stephanie in Cannes having had another of the maddest 24 hours of my career! First impressions are that this festival is full on. There are people from all over the world here to learn, be wowed and experience some of the most cutting edge advertising on the planet- a lot of which is now digital! 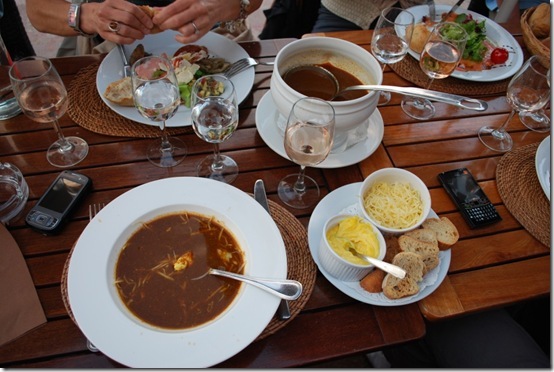 We arrived last night and sped to Marco Polo’s a restaurant on the beach, a bit beyond the town, for a very cool and laid back dinner with the whole Microsoft Advertising Team that’s out here. The up bright and early meeting the film crew that will help us interview a raft of folks from Microsoft execs to people on the street finding out what their expectations are of Cannes and what they’re looking forward to from the week. Our cyber lounge at the conference centre is pretty cool! 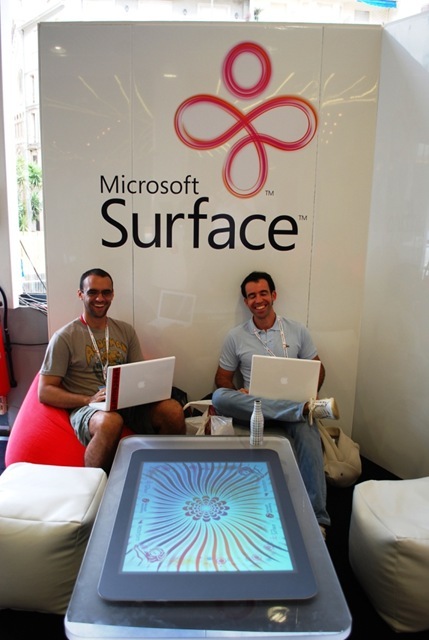 Lots of PCs and internet access and this Microsoft Surface table I spotted with two South Americans firmly ensconced next to with their Apple Macs wide open! They look happy don’t they! Jenny and I have started filming with the Media Brands crew and I think we’ve found our presenting feet…..well time will tell! That’s me with the “I’m an FB” Tee Shirt on! Now I’m off to the land of nod to dream up some questions to ask Biz Stone! 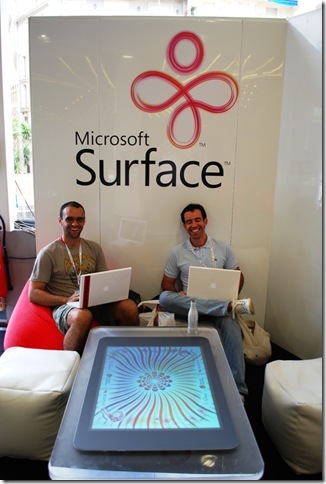 Check out more photos at Cannes Lions Microsoft Advertising Community and Microsoft Advertising on Facebook.